CHANGING THE WAY WE SEE LIGHT. LED technology is now in full flight and quickly becoming the most dominant light source in the market. Bringing unprecedented levels of efficiency and energy savings it is easy to see why this technology is changing the way we see light. With options flooding the market it is important to discern which LED luminaire is going to be right for the application. Because, with a 50 year life expectancy it really is a fit and forget situation. We have put together a handful of LED luminaires that have been changing the way we see light at Lanark. If you have any questions, require pricing or specifications please don’t hesitate to contact us via the details at the bottom of this page. If you want to find out more about Lanark, head over to our website. The Avant by OMS is an Architectural dream. Click them together to form continuous lines of light or use them singularly to direct light. 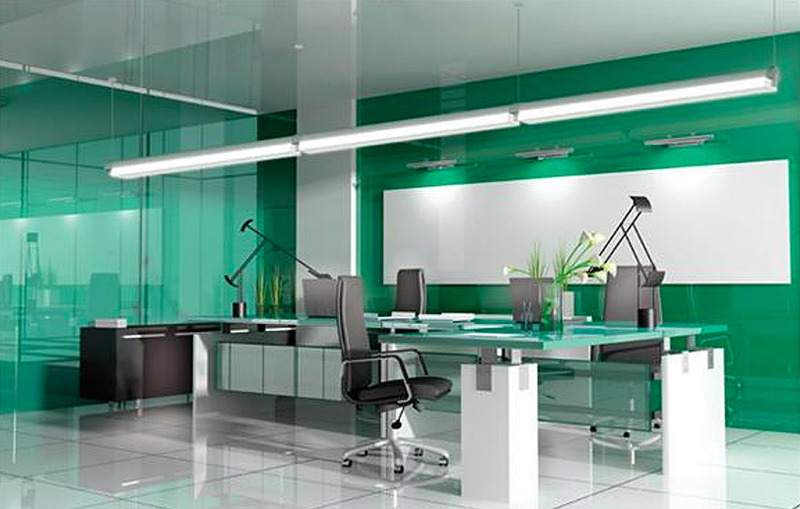 Available in surface mounted, suspended, track or wall versions there is no surface left uncovered. With diffusers range from opal, prismatic, louvered and assymetrical. Reaching commercial grade outputs of 5000 lumens at 72W as well as a fluorescent options your next project will be a piece of cake. Product specs. Slovakian lighting company, OMS have just launched the Avior. Its fully rotational head and wide range of beam angles (24°, 40°, 60°) make short work of any application. Ranging from 15W up to 53W and achieving a lumen output of up to 4000 lumens. Product specs. 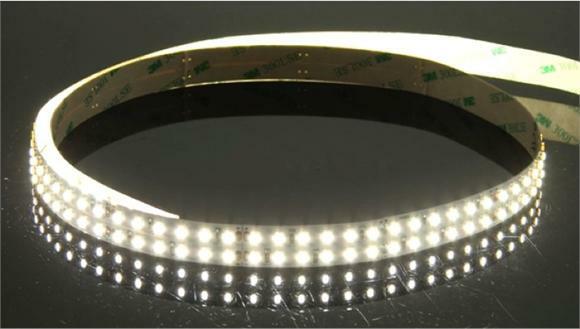 At 30 watts per meter this LED strip leads the pack with its astoundingly high output. 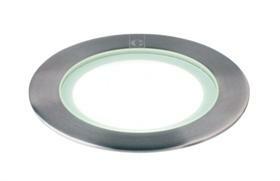 Achieving 2000 lumens per metre, this LED strip is twice as bright as a downlight. By slotting it into one of our versatile DOMUS LED profile channels (up next) you can have the flexibility of achieving a wide range of linear LED effects. Product specs. 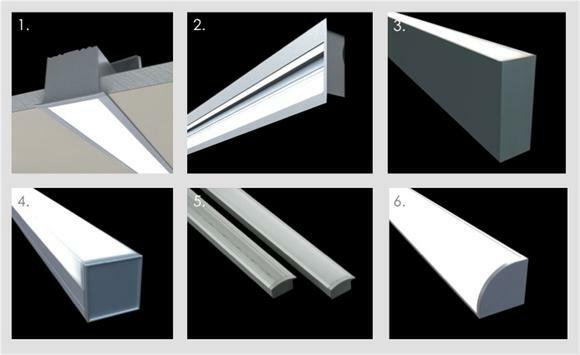 A snapshot of the extensive range of LED profiles on offer from DOMUS. Option for recessing, surface mounting and in some cases suspension. Just choose your LED strip (low output, high output, RGB, etc.) and choice of lens (clear/opal). Made to your required length with custom colour options available. Forget paying hundreds of dollars a meter for your LED channel set up, these profiles will meet your budget requirements. Product specs. The GL007 has an adjustable inner LED lamp at its core allowing the beam angle to be adjusted along diagonal architectural elements or to illuminate hard to reach places. Available in single, duo or triple lamp arrangements and ranging from 7W to 21W. As you would expect from Collingwood there is an RGB version available. At IP67 and the ability to be driven over there is nothing that stands in its way. This one has been a favorite for exterior applications lighting up vertical columns of building facades. Product specs. Highly sought after by electricians globally the Collingwood GL050 puts other LED in ground up lights to shame. With perfectly finished 316 stainless steel, tempered frosted glass (glare-free), an IP68 rating and the option of RGB colour change. At 3 watts it’s the perfect amount of light to illuminate pathways, wash walls or accent vertical architecture. Product specs. 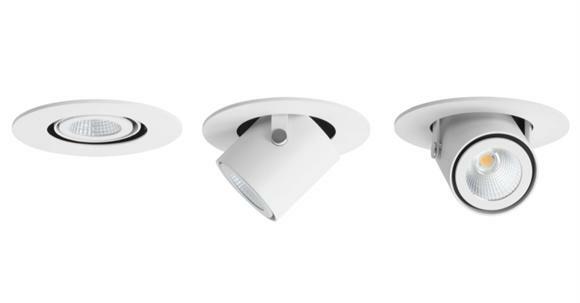 New from Domus, these recessed LED troffers are available in 25W and 35W options and can reach up to 4800 lumens! They have come into the market very competitively on price. Product specs available upon request. 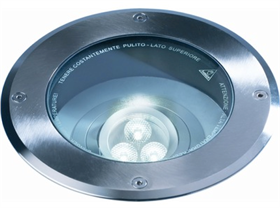 Available in 22W and 44W high powered multi-chip LED bars and with full RGBW colour change and adjustability. Product specs. Architect: Peter Hunt Architect, Public Artist (Spinifex Lanterns) Tony Pankiw, Photographer: Tony Pankiw. Lighting supplied by Natalie Lee at Lanark Trading. 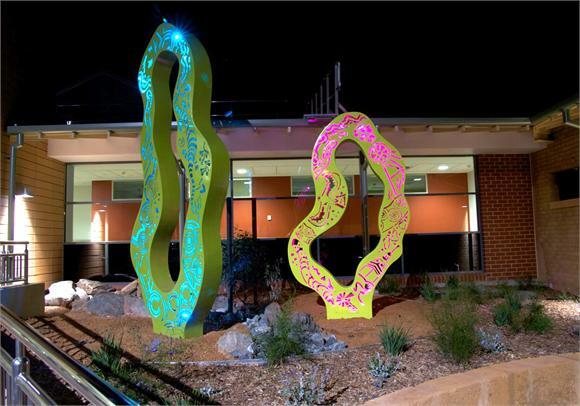 One of our recent projects for Kalgoorlie Health Campus involved the illumination of public art created by Tony Pankiw. Collingwood 3.5W LED RGB spotlights were strategically placed to achieve a uniform illumination within the sculpture. The RGB colour phasing can be controlled by handy remote or wall control pad. The lanterns appear to pulsate and come to life at night.